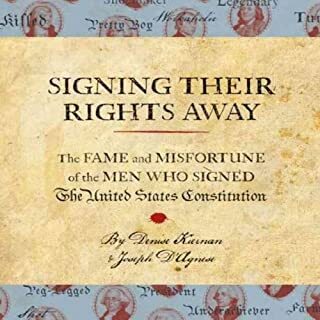 Signing Their Rights Away chronicles a moment in American history when our elected officials knew how to compromise - and put aside personal gain for the greater good of the nation. These men were just as quirky and flawed as the elected officials we have today: Hugh Williamson believed in aliens, Robert Morris went to prison, Jonathan Dayton stole $18,000 from Congress, and Thomas Mifflin was ruined by alcohol. Yet somehow these imperfect men managed to craft the world’s most perfect Constitution. In the summer of 1776, 56 men put their quills to a dangerous document they called the Declaration of Independence. Among them was a 30-year-old doctor named Benjamin Rush. One of the youngest signatories, he was also, among stiff competition, one of the most visionary. 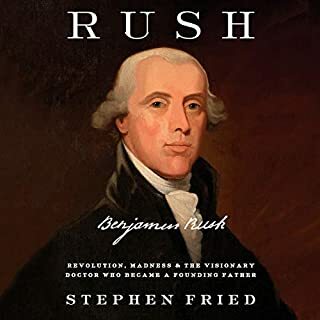 From improbable beginnings as the son of a Philadelphia blacksmith, Rush grew into an internationally renowned writer, reformer, and medical pioneer who touched virtually every page in the story of the nation's founding. He was Franklin's protégée, the editor of Common Sense, and Washington’s surgeon general. At the height of World War II, Oak Ridge, Tennessee, was home to 75,000 residents, consuming more electricity than New York City. But to most of the world, the town did not exist. 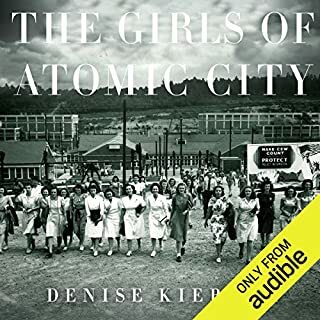 Thousands of civilians - many of them young women from small towns across the South - were recruited to this secret city, enticed by solid wages and the promise of war-ending work. Kept very much in the dark, few would ever guess the true nature of the tasks they performed each day in the hulking factories in the middle of the Appalachian Mountains. From the perilous ocean crossing to the shared bounty of the first Thanksgiving, the Pilgrim settlement of New England has become enshrined as our most sacred national myth. Yet, as best-selling author Nathaniel Philbrick reveals in his spellbinding new book, the true story of the Pilgrims is much more than the well-known tale of piety and sacrifice; it is a 55-year epic that is at once tragic, heroic, exhilarating, and profound. Most people know what happened to George Washington after he signed the Declaration of Independence. (If you don’t, I’ll tell you for a quarter.) But what happened to the brave men who founded America but were then lost to history? 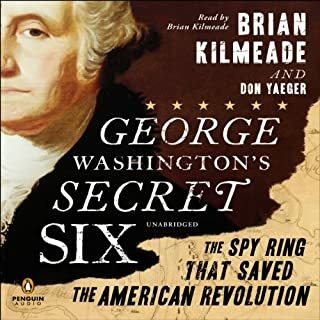 Authors Denise Kierman and Joseph D'Agnese dig up surprising answers, introducing little-known founding fathers who were eventually poisoned, killed, financially ruined, and lost at sea. 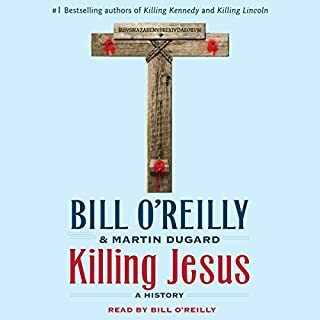 A concise, fascinating, and sometimes playful history, this book will have you wowing your history-minded friends for weeks. Narrator Susan Larkin blows the dust off this chapter of history with her lively reading of this surprising book. In the summer of 1776, fifty-six men risked their lives and livelihood to defy King George III and sign the Declaration of Independence - yet how many of them do we actually remember? 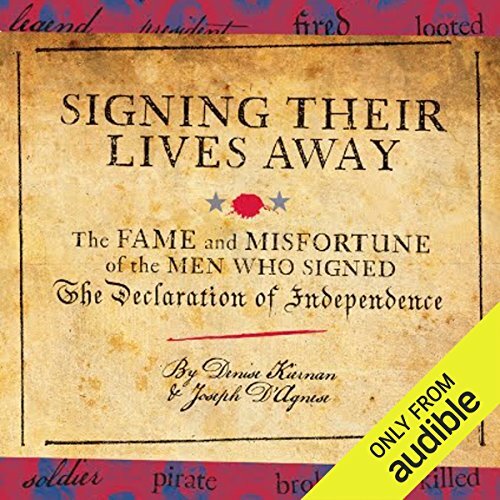 Signing Their Lives Away introduces listeners to the eclectic group of statesmen, soldiers, slaveholders, and scoundrels who signed this historic document - and the many strange fates that awaited them. Some prospered and rose to the highest levels of United States government, while others had their homes and farms seized by British soldiers. Signer George Wythe was poisoned by his nephew; Button Gwinnett was killed in a duel; Robert Morris went to prison; Thomas Lynch was lost at sea; and of course Sam Adams achieved fame as a patriot/brewer. Signing Their Lives Away provides an entertaining and enlightening narrative for history buffs of all ages. 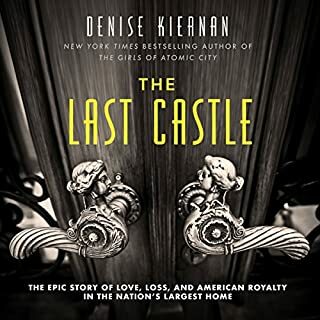 ©2009 Denise Kiernan and Joseph D'Agnese (P)2013 Audible, Inc.
Mediocre and a bit snarky. A bit too dismissive of the character and commitment of an extraordinary collection of talented and capable men who put it all on the line.